Its our duty to sympathise in all mercyes, that wee may praise the Lord together, in chastisements or tryalls, that soe wee may sorrowe together. Truly England, and the church of God hath had a great favor from the Lord in this great victorie given unto us such as the like never was since this warr begunn. Itt had all the evidences of an absolute victorie obtained by the Lords blessinge upon the godly partye principally. Wee never charged but wee routed the enimie, the left winge which I commanded beinge our owne horse, savinge a few Scotts in our rear, beat all the Princes horse, God made them as stubble to our swords, wee charged their Regiments of foote with our horse, routed all wee charged. The perticulars I cannott relate now but, I beleive of 20000 the prince hath not 4000 left. Give glory, all the glory to God. Sir, God hath taken away your eldest sonn by a cannon shott, itt brake his legg, wee were necessitated to have itt cutt off, wherof he died. 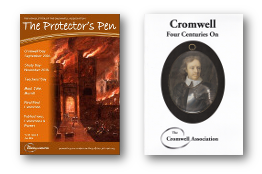 During the main civil war of 1642-46, and even more so while on campaign during the second civil war of 1648 and in Ireland and Scotland between spring 1649 and summer 1651, Cromwell’s practice was to write often long and detailed letters giving military accounts of his campaigns in general and certain battles and sieges in particular. Such letters were generally written very shortly after the specific event about which they supply an account, often during the evening or day immediately following a battle or the conclusion of a siege. These letters were often addressed either to Sir Thomas Fairfax, in his capacity as commander-in-chief of the New Model Army (from spring 1645 down to summer 1650), or to the Speaker of the House of Commons. Cromwell probably expected that the contents of those letters would then be passed on to a wider audience – to other senior army officers in the New Model’s high command or to the House of Commons. Indeed, after certain key victories, Cromwell’s letters to the Speaker giving accounts of those actions would go on to urge that various political, social or religious reforms be enacted in the wake of these military successes and as thanks to God for giving victory, Cromwell clearly expecting that those letters would reach a wider audience and hoping that they would influence parliamentary business. Quite a few of Cromwell’s military letters of the civil war years were quite quickly printed in whole or in part, either included in the regular newspapers of the day or published within short pamphlets, thus reaching a much wider and public audience. However, this letter is different. It is far more personal and private, addressed to a fellow-officer and giving an account of the battle of Marston Moor, which had occurred three days before on 2 July, but providing only a brief and sketchy outline of military events and the course of the battle; instead, the letter’s main purpose and the majority of its contents were concerned with breaking the news of the death in action of the recipient’s son and attempting to console him in his loss. On the other hand, Cromwell is perfectly accurate in describing the overall outcome of the battle as a complete parliamentarian victory and in suggesting that it was the biggest and most decisive victory achieved since the civil war had begun. By July 1644 parliamentarian forces had secured the upper hand in several field engagements – for example, during the latter half of 1643 Cromwell himself had won or participated in victories at Gainsborough and Winceby in Lincolnshire, during early autumn 1643 a parliamentarian army dispatched from London had first relieved the besieged town of Gloucester and then inflicted such losses on the king’s army which tried to block its route at Newbury in Berkshire that the royalists had fallen back, while in spring 1644 a southern parliamentarian army had mauled a royalist army at Cheriton in Hampshire, compelling it to fall back under cover of darkness. But Marston Moor was parliament’s first clear and decisive victory in a major battle during the civil war – with 46,000 men involved, it was by some way the biggest battle of the main civil war of 1642-46 – and, even though Cromwell could not be certain of this when he wrote to Walton on 5 July, its consequences were equally dramatic and decisive. In the wake of defeat at Marston Moor, the royalist cause in northern England collapsed. Several northern royalist commanders quit the war and went into self-imposed exile, many northern royalist troops either laid down their arms and went home or abandoned the north, moved south and fought for the king in the Midlands and southern England, the royalists’ northern capital of York – whose close siege by a combined English and Scottish parliamentarian army during spring 1644 had led to the intervention of Rupert and his army in its support and so precipitated the battle of Marston Moor – was compelled to surrender later in the summer and by autumn 1644 the royalists retained only a small number of now isolated and largely impotent towns, castles and other bases in northern England. As he did so often in his letters relaying news of and relating parliamentarian military successes, here Cromwell ascribes victory not to his own military skills, to the huge parliamentarian numerical advantage, to royalist shortcomings or to any other mortal, secular factors. Instead, he sees it as a gift from God, to whom all the glory belongs. Here, as so often, this in turn confirms to Cromwell that he and his men were doing God’s will, fighting for a godly cause, and that the military victory was a sure sign of God’s support for the cause and for the godly party. He writes that the victory at Marston Moor was given by God and through His divine blessing upon the godly party ‘principally’. This comment might be linked to what Cromwell says a couple of sentences further on, where he notes that his own victorious left wing of cavalry comprised ‘our owne horse’ – almost certainly referring to the cavalry of the Eastern Association – except for ‘a few Scotts in our rear’. Is Cromwell’s comment that the victory came about because of ‘the Lord’s blessinge upon the godly partye principally’ to be read alongside this description of the composition of Cromwell’s victorious cavalry wing, implying that the bulk of the cavalry there – good, godly Englishmen from East Anglia and the East Midlands and fellow-members of the regional army of which Cromwell was second-in-command and cavalry commander – were godly, but implicitly or explicitly excluding from that description the small number of Scottish horse stationed in the rear line on the parliamentarian left wing? The wording and structure of this part of Cromwell’s letter are ambiguous and this does not necessarily follow, but it is one possible reading of Cromwell’s comments here. Certainly, several military historians and biographers of Cromwell have suggested that in this letter Cromwell appears significantly to underplay the contribution of Scottish troops in general and of the Scottish cavalry forming part of the parliamentarian left wing in particular to the overall course and successful outcome of the battle. Cromwell’s rather brief, even slighting, reference in this letter to the Scots and to the contribution of Scottish troops to the military victory probably had deep roots. In summer 1643 the English parliament had reached a deal with the Scottish Covenanters, called the Solemn League and Covenant, whereby a Scottish army would enter England and fight for and in alliance with the English parliamentarians and against the royalist forces. But in return, the English parliament had appeared to agree to the main Scottish demand, namely that if and when the civil war was won, parliament would impose Scottish-style Presbyterianism in and throughout England and Wales. Cromwell was by no means the only MP and senior officer to have strong reservations about this aspect of the deal. By 1643-44 he and others had come to see the breakdown of the old Church of England and the fragmentation of Protestantism in England and Wales into a number of Protestant faiths, groups and sects as a gift from God and as an unexpected but cherished consequence of the civil war. Believing that there was an element of God’s truth in all the new Protestant religious groups, several of which had gained strong support within the English parliamentarian armies, and that God was working through each of them, Cromwell and others came to welcome and strongly to support this religious diversity and, under the banner of ‘liberty of conscience’, to see the continuation of the current religious freedom as essential and godly and a key element of any post-war settlement in England and Wales. Cromwell did not oppose Presbyterianism as such – it was, after all, a perfectly respectable and, by the time of the civil war, quite long-standing form of Protestantism, present in Scotland and elsewhere – and when he was based in Scotland in 1650-51 he went out of his way to stress his acceptance of Presbyterianism as a legitimate form of Protestantism. But in the wake of parliament agreeing the Solemn League and Covenant and apparently signing up to the Scottish terms, Cromwell (and others) became increasingly concerned about and opposed to any religious settlement which would compel people in England and Wales to adhere to Presbyterian forms or would enforce Presbyterianism as the only legitimate religion there. It is possible that Cromwell’s encounters with fervently Presbyterian Scottish officers during the combined Anglo-Scottish siege of York of spring 1644 and his greater awareness of how some Scots wished to see the full terms of the Covenant strictly enforced, compelling those of other Protestant faiths and beliefs to conform to their views and their projected religious settlement, had by July 1644 sharpened Cromwell’s opposition to the Scottish alliance and thus his reservations about the contribution of the Scots. This may have led Cromwell to draw a distinction between the godly party – his own English Eastern Association troops – on the one hand and the Scots present at Marston Moor on the other, if that interpretation of Cromwell’s words is correct. It is almost certainly why in this letter he makes such a brief and slight comment about the contribution of Scottish troops to the military victory, under-playing their role in the battle. Having given some account of the battle and victory, at that point in his letter Cromwell returns to his main subject, rather abruptly breaking the news of the death in action of his own nephew, the recipient’s son, Valentine Walton junior. Walton was captain and thus commander of a troop within Cromwell’s own cavalry regiment, which played a prominent part in the developments on Marston Moor during 2 July and was in the heat of the action during the evening battle. At some point in the course of action on the moor during 2 July, Walton was badly injured by being struck by a cannon ball, Cromwell recounts, which shattered one of his legs, as well as killing his own horse and three other horses. The precise point and time at which this occurred are not entirely clear. Most historians suggest that it occurred during the evening of 2 July, in the opening phase of the main battle, when Cromwell’s regiment, including Captain Walton, was at the heart of the major cavalry charge which quickly broke the opposing royalist cavalry wing. Walton was hit and felled as the parliamentarian cavalry rode forwards, perhaps, but lived long enough to see the royalist cavalry break and flee in this first stage of the battle proper. But would Cromwell as overall commander of the left wing of the parliamentarian army and – as we learn later in this letter – another regimental commander, too, really have had time to stop and to attend and talk to the injured Walton as he lay dying amidst the opening phase of a major and fast-moving battle? Some historians, including Alan Marshall and, in some of his work, P.R. Newman, have suggested that the event could have taken place much earlier in the day, well before the main battle, in the course of cavalry skirmishing on and around the moor during the morning and early afternoon of 2 July.11 Placing Walton’s fatal injury well before the main battle and in the midst of limited and intermittent early skirmishing certainly makes it easier to explain the attendance of Cromwell and another colonel. But Cromwell’s letter seems to suggest that Walton was hit and fatally injured in the course of a major and decisive cavalry action, and clearly also while artillery was firing, and this seems more consistent with the first phase of the battle proper rather than preliminary and quite minor maneuvering and skirmishing earlier in the day.12 Perhaps, however, Cromwell deliberately conflated events in his letter to make it appear to the recipient that his son had been killed in the main battle, and thus had played at least some part in the great, decisive, God-given victory, rather than losing his life in mere preliminary skirmishing. Clearly, Walton’s injury was not immediately fatal and the letter gives the impression that Walton remained alive, conscious, talking and lucid, through grievously injured, prostrate and immobilised, for a while. He was attended by surgeons, who concluded that the only way to save him was to attempt the amputation of the damaged limb, though in fact this brought about his death. We know about this process from several contemporary medical accounts, particularly that of Richard Wiseman, a surgeon who was active, principally on the royalist side, for much of the war, who went on to have a distinguished medical career and who left a detailed published account of his practices.13 Although simple fractures to arms and legs could be set and stand a good chance of healing, civil war surgeons were aware that shattered limbs would not heal cleanly and would almost certainly lead to death, through infection or gangrene, even if the initial blood loss had been brought under control and stopped, and the only real option in such cases available at the time was amputation. Wiseman and others noted that, if amputation was required, it should be attempted as quickly as possible after the wound had been sustained, preferably immediately. The intervention needed to take place above the damaged part of the limb, where, having attempted to restrict the flow of blood to the limb, the flesh and underlying tissue would be cut round and pulled back to reveal the underlying bone but leaving a flap of flesh, the bone itself quickly sawn through, and then the flesh pulled back over the end of the newly-cut bone and stitched and tied using the flap, and the wound compressed and bandaged in the hope that the stump would heal cleanly. But a mixture of shock and blood loss could cause the patient’s death during or immediately after the operation, as appears to have been the case with Walton; even if the operation itself seemed to go well, infection could then set in and lead to a subsequent and slower death. We have no idea where Walton’s remains were then buried and no tomb or marked grave appears to survive. Given his status and the known whereabouts of his body at the end of the operation, it is likely that the corpse would have been given a decent burial in a nearby church or churchyard or possibly even returned to his family for burial in Huntingdonshire.14 It thus probably escaped the fate of so many of those who perished on the moor, buried in unmarked mass graves on and around the battlefield. In the final, lengthy section of his letter (usually reproduced as a separate paragraph in modern transcripts), Cromwell attempts to console his brother-in-law for his loss. He does so in several ways. Firstly, he begins by noting that he had gone through a similar experience – ‘you know my tryalls this way’ – and had himself sought and received divine consolation. Here Cromwell is referring to the death of one of his own children. By summer 1644 Cromwell had lost three children, a son James who died shortly after his birth in January 1632, his eldest son Robert who died of natural causes in the later 1630s while in his teens and, most recently, most relevantly and probably the bereavement which he had in mind when he wrote this letter, his second but by that stage oldest surviving son Oliver, who had also taken up arms for parliament but had died a few months before, earlier in 1644, probably of natural causes, while serving as a captain in the parliamentarian garrison of Newport Pagnell, aged twenty-one. Oliver Cromwell junior and Valentine Walton junior were not only cousins but also near contemporaries, both born in 1623-24, both dying, as the second but by then eldest surviving sons and namesakes of their fathers, while fighting for parliament in 1644. Secondly, Cromwell related to his father what young Walton said and his overall attitude and frame of mind as he lay mortally injured. Despite his wound, he apparently had time to talk to Cromwell and to Cromwell’s colleague Francis (Frank) Russell, a Cambridgeshire parliamentarian and colonel and commander of an Eastern Association foot regiment which fought at Marston Moor, whose alliance with the Cromwells grew closer in the 1650s when his daughter Elizabeth married Oliver Cromwell’s son Henry in May 1653. The dying man was apparently full of (spiritual) comfort, greatly exceeding and implicitly allaying his physical pain, so much so that Walton had found it hard to put into words how he felt. His only regret, he told Cromwell and Russell, was that he would no longer be able to do God’s work through killing the Lord’s enemies. Before Cromwell got to him and had this conversation, he had heard that Walton had called to his colleagues to open up a little left and right, so creating a small gap in the line of parliamentarian cavalry through which he could see their royalist opponents fleeing. Thirdly, Cromwell told Walton how his son had been a gallant and gracious figure, loved by his military colleagues who knew him, though adding that few knew him well, for he was a ‘precious’ young man. ‘Precious’ is being used here in the early modern sense, to denote someone of particular and unusual spiritual and moral worth, who was distinct from and often stood apart from the unregenerate masses. Fifthly and lastly, Cromwell urges Walton to be comforted by God’s grace and the strength which God can bestow, by the knowledge that his son had received the Lord’s salvation and had achieved a state of eternal and unblemished happiness in heaven and also by the firm knowledge that his son had perished in the Lord’s cause. He assures Walton of his sincerity in all of this and expresses his expectation that thoughts of the great, godly victory at Marston Moor accorded to the true members of Lord’s church and His followers – by which he means the congregation of the godly and certainly not all Christians or all Protestants, nor all those adhering to (what was left of) the Church of England – should counter-balance and even make him forget his personal sorrows at the loss of his son. Following on from Davis’s interpretation and picking up several of his points, in 2004 Ronald Hutton offered – within a wider study of aspects of Stuart history – a sharp and quite critical review of Cromwell and of historians’ approaches to him, questioning why current historiography appears so kind and so positive in assessing the man, his character and his achievements.22 Hutton finds ‘striking’ the uniformly positive conclusions of recent studies of Cromwell – ‘all have essentially endorsed and repeated the verdict passed by [the late Victorian historian S.R.] Gardiner: that Cromwell was a great and admirable individual who dominated and determined the politics of his age and [however] was ultimately a political failure’ in his lasting achievements and legacy, not ‘because there was anything inherently wrong in what he desired’ but rather because ‘the bulk of his compatriots were not yet ready to recognise its worth’.23 In the bulk of his chapter and focussing on Cromwell’s – in Hutton’s view, generally manipulative – words and on some of his actions, Hutton goes on to challenge this positive historical consensus in a number of ways and on a number of grounds, two of which are directly relevant to this discussion. 1 Modern transcripts may be found in Thomas Carlyle, revised S.C. Lomas, Letters and Speeches of Oliver Cromwell (3 vols, London, 1904), I, 176-77 and W.C. Abbott, The Writings and Speeches of Oliver Cromwell (4 vols, Cambridge, Mass., 1937-47), I, 287-88. A good and clear photograph of the original, which is now held at Chequers, appears in Antonia Fraser, Cromwell, Our Chief of Men (London, 1973), opposite p. 284. 2 Although only one other letter from Cromwell to Walton appears now to survive, Walton seems to have received and retained quite a number of letters from his brother-in-law, as after the civil war he reportedly wrote a biographical account of Cromwell drawing upon and containing (presumably transcripts of) many of Cromwell’s letters, but it was never published and Walton’s manuscript was lost sometime during the eighteenth century and no longer survives – see C.H. Firth and Sean Kelsey, ‘Walton, Valentine (1593/4-1661)’, Oxford Dictionary of National Biography. 4 For good accounts of the battled, see Austen Woolrych, Battles of the English Civil War (London, 1961), chapter 3; L.P. Wenham, The Siege of York and the Battle of Marston Moor, 1644 (Skipton, 1969); P.R. Newman, The Battle of Marston Moor, 1644 (Chichester, 1981); Peter Young, Marston Moor 1644: The Campaign and the Battle (Moreton-in-Marsh, 1997); John Barratt, The Battle for York: Marston Moor, 1644 (Stroud, 2002); John Tincey, Marston Moor, 1644: The Beginning of the End (Oxford, 2003); P.R. Roberts and P.R. Newman, Marston Moor: The Battle of Five Armies (Pickering, 2003); Malcom Wanklyn, Decisive Battles of the English Civil War (Barnsley, 2006), chapters 10-11; I. Roy and J. MacAdam, ‘Why did Prince Rupert fight at Marston Moor?’, Journal of the Society for Army Historical Research, 86 (2008). 5 Jack Binns, The Memoirs and Memorials of Sir Hugh Cholmley of Whitby (Woodbridge, 2000), p. 137. 6 L. Watson, A More Exact Relation of the Late Battle Near York (1644), p. 6. 9 Binns, Memoirs and Memorials of Sir Hugh Cholmley, p. 137. 10 Watson, A More Exact Relation, p. 7. 11 Alan Marshall, Oliver Cromwell, Soldier (London, 2004), p. 108, drawing on Newman and Roberts, Marston Moor, 1644: The Battle of Five Armies. 12 In another of his works on Marston Moor, P.R. Newman also felt that the event took place in the first phase of the battle proper, during the evening of 2 July, but linked it to another event to which some though by no means all contemporary accounts allude – that at some point in the battle Cromwell received a slight wound to his neck and very briefly attended a surgical post to have it dressed, before resuming the fight. Newman speculates that it was at this stage that Cromwell encountered Walton, having his much more serious wound examined and attended to by surgeons – see Newman, The Battle of Marston Moor, 1644, pp. 83, 86. But again, this does not seem to be entirely consistent with the version and sequence of events which Cromwell conveys in his letter. 13 R. Wiseman, Eight surgical treatises (London, 1696). 14 Though there does survive within the church at Great Staunton in Huntingdonshire an elaborate early seventeenth-century monument to George Walton (Waulton), at whose death Valentine Walton senior inherited what became his principal estate there. 15 A. Collins, Letters and Memorials of State in the Reigns of Queen Mary, Queen Elizabeth, King James, King Charles the First and Part of the Reign of King Charles the Second (2 vols, London, 1746), II, pp. 671-73. 16 C.H. Firth, Oliver Cromwell and the Rule of the Puritans in England (London, 1901), p. 110. 17 John Buchan, Oliver Cromwell (London, 1934), p. 192. 19 Peter Gaunt, Oliver Cromwell (Oxford, 1996), p. 53. 20 Frank Kitson, Old Ironsides: A Military Biography of Oliver Cromwell (London, 2004), p. 92. 21 J.C. Davis, Oliver Cromwell (London, 2001), p. 84. 22 Ronald Hutton, Debates in Stuart History (Basingstoke, 2004), chapter 4. 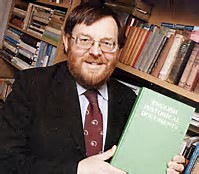 26 Martyn Bennett, Oliver Cromwell (London, 2006); Ian Gentles, Oliver Cromwell: God’s Warrior and the English Revolution (Basingstoke, 2011), Patrick Little (ed. ), The Cromwellian Protectorate (Woodbridge, 2007); Patrick Little (ed. ), Oliver Cromwell: New Perspectives (Basingstoke, 2009).